7) Access, Correction and Erasure: You have the right to access your data and information we hold about you in connection with this Website. 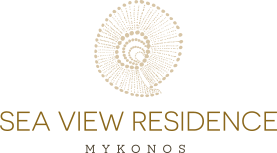 If you would like a copy of your personal information, please contact us by email at info@svr-mykonos.com and we will be happy to assist you with a copy of a structured, commonly used and machine-readable format. Please note that we may a charge a small fee for handling information access requests and in certain cases, if the law so permits, we may decline access requests if they are unreasonably excessive or entail disproportionate effort to do so. If you think information we hold about you is outdated, erroneous, inaccurate or incomplete, or is otherwise held unlawfully, you have the right, as applicable, to request for the updating, correction and or deletion of such information. Your request for deletion may be rejected if the information is needed; a) for exercising the right of freedom of expression and information; (b) for compliance with a legal obligation which requires processing for the performance of a task carried out in the public interest or in the exercise of official authority vested in the controller; (c) for reasons of public interest in the area of public health; (d) for archiving purposes in the public interest, scientific or historical research purposes or statistical purposes; (e) for the establishment, exercise or defence of legal claims. 10) Marketing. We will not use or share your information for marketing purposes without your prior express consent. At times, we may give you the opportunity to sign –up and opt-in to receive product news, special offers and discounts from us. We may invite you to tick an opt-in box confirming that you wish and agree to receive marketing information via your preferred communication channel. Please note that you can withdraw your consent anytime by writing to us at info@svr-mykonos.com or by clicking on unsubscribe link in the emails.